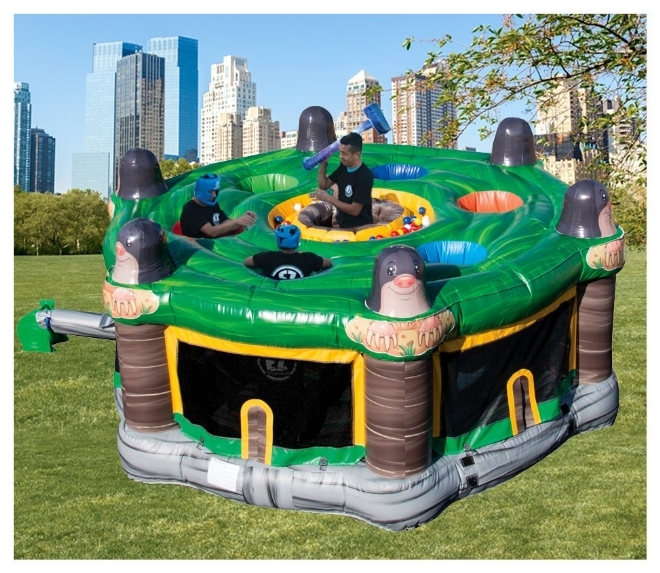 Giant Human Whack-A-Mole has places for 6 moles competing for the most mole pellets (soft plastic balls) before getting whacked by the gardener in the middle with the giant inflatable mallet. Each mole is eliminated as they get whacked. A fun and exciting game for all ages. This inflatable gets the whole family involved.